Andersen is a privately-owned company that was established in 1908. Sunwest Construction Specialties in Santa Fe, New Mexico, offers their complete line of residential and commercial windows and doors. All Andersen products are of a quality that we would be happy to use on our own premises. 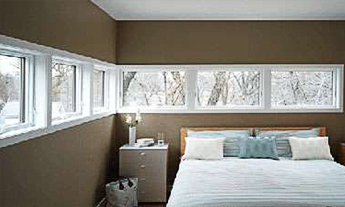 Andersen offers blind and shade options for your windows too, including between-the-glass convenience. Sunwest Construction Specialties also offers Weiland by Andersen products. The line of Weiland products is just the thing when your project calls for blurring the lines between indoors and outdoors.